Note: for a list of Exterior colors by year and other exterior color details, including special paint designation, RPO and window sticker codes, and related stripe and top colors, see the Exterior Colors section of the Numbers/Decoding page. These are the official Camaro color production usages from GM. This was one of the most frequently asked questions and until recently there was no known production numbers on colors. CRG has obtained a copy of these unpublished production numbers and they are shown here. Note that the 1969 percentages are only until September 69 and do not included the extended 69 production year (about 13% of 69 production). That should not affect the 1969 percentages significantly. We will also note that these production numbers are close to the estimates that we had published previously using the CRG database. While many Corvette colors often are unique, in the first-generation Camaro years, there was some sharing with Camaro. In 1967, these were Tuxedo Black, Ermine White, and Marina Blue. In 1968, two colors, Tuxedo Black and Cordovan Maroon, started the year common to both Camaro and Corvette. In January 1968, three additional Corvette colors were added to Camaro, with specific marketing attention given to the fact that they were Corvette colors applied to Camaro. These three were Corvette Bronze, LeMans Blue, and British Green. (In addition to these three, Rallye Green was another mid-season Camaro color addition. Together they replaced Fathom Blue, Grecian Green, Palomino Ivory, and Tuxedo Black for the remainder of 1968.) As a result, Corvette shared a total of five colors with Camaro in 1968. In 1969, there were seven colors shared: Tuxedo Black, Fathom Green, Burgundy, Cortez Silver, LeMans Blue, Hugger Orange (known on the Corvette as Monaco Orange), and Daytona Yellow. "The Hugger" was the marketing nickname for the Camaro, appearing in magazine ads and commercials. It was in reference to the cars handling characteristics (it hugs corners... so it's the hugger! ), which are needy by today's standards, but for the period it was one of the best handling American cars you could buy. GM advertising used the hugger promotion to offer special colors: hugger orange paint and an orange houndstooth interior. Of course, the '69 Indy Pace Car had hugger orange stripes. For Pontiac, the color went by different name, Carousel Red. For Corvette, it was called Monaco Orange. All 67-69 Camaro stripes were painted, with the exceptions of the rearmost part of the D90 stripe (as discussed below) and the hood part of the DX1 stripe were tape. In the 1967 and early in the 1968 model years, Super Sport (SS) cars received the D91 "bumblebee" stripe on the front of the car. This extended across the header panel and onto the front part of the fender. There was a gap in the stripe on the side of the fender for SS emblems in 67, while the gap in 68 was for the 350 or 396 emblems. Starting in January of 1968, the 1968 SS cars received the D90 sport stripe package. This stripe went across the header panel, similar to the D91 stripe, but it also extended back across the fender and onto the door. For the 1969 SS models, the D90 stripe was modified from the 1968 version to what is known as the "hockey stick" stripe. For 1969, the D90 stripe was not on the header panel - it was only located on the fender and door. With both the 68 and 69 D90 stripes, the front part of the stripe is painted on, while the part from the back edge of the fender and across the door (or just the door in 69) is a decal. The stripes used with RPO Z28 consisted of two wide stripes that extended from the front header panel across the hood and onto the low spots on the cowl vent panel. These stripes were also located from part of the rear window panel across the deck lid and rear spoiler (if the car had a spoiler). These stripes were the same in 1967, 1968, and 1969. This stripe design was also used with the Z10 and Z11 pace cars. Starting in April 67 and continuing through the end of the model year, the D91 stripe was available for non-SS, non-Z28 cars. Cars with the Rally Sport (RS) option had a gap in the D91 stripe (like the SS cars) for the RS emblems. On non-SS and non-RS cars, there was no gap in the stripe. 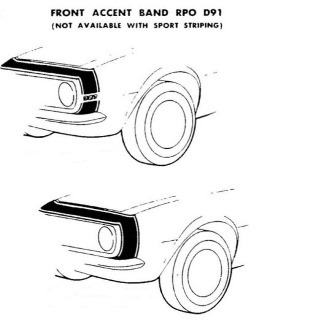 Pinstriping was not available as an RPO, but was included with Style Trim or Rally Sport. The D90 stripe, used on the later 68 SS cars, became available in January of 1968 as an option on all 1968 non-Z28 models. The D91 stripe was available for non-SS, non-Z28 cars. The stripe for cars with 250 L6 and 327 engines received a gap for the engine emblems, similar to 1967 and early 1968 SS cars. Cars with the 230 six-cylinder engine did not have a gap in the stripe. The D96 side striping was added for the 1968 model year. This consisted of a stripe that ran along the belt line of the car from the fender across the door and onto the quarter panel. The D91 and D96 stripe packages could be ordered together and early 68 SS cars with the D91 stripe could also have the D96 stripe. The D90 stripe, used on the SS, was optional on all 1969 non-Z28 models. DX1 was a new stripe option which was only available on non-SS, non-Z28 Camaros. The DX1 striping package had a stripe on the header panel and fenders (similar to the D91 stripe) that extended down the center of the hood. The D96 stripe was modified for 1969. It consisted of two pinstripes - each stripe started along the front edge of the wheel opening and extended rearward over the wheel opening, following the body line. The D96 stripe was included with style trim or rally sport and was also available as a stand-alone option. Though GM documentation states that the D96 stripes were "Not available when Camaro SS, Special Performance Package, or Sport Striping is ordered", the D96 stripes have been observed on some original Z28's and SS cars. The Camaro trunk lid emblem was moved forward, up the trunk lid, from station 125.00 to station 121.73, a distance of 3.27 inches, and the Z stripe was masked (1967-68 only) around the emblem. The stripes were painted on the trunk lid at the factory and thus, without a spoiler, run all the way through to the lip of the lid. The dealer installed spoiler was attached over the factory stripes and then the dealer painted the spoiler to match. The dealer often did not relocate the Camaro emblem. 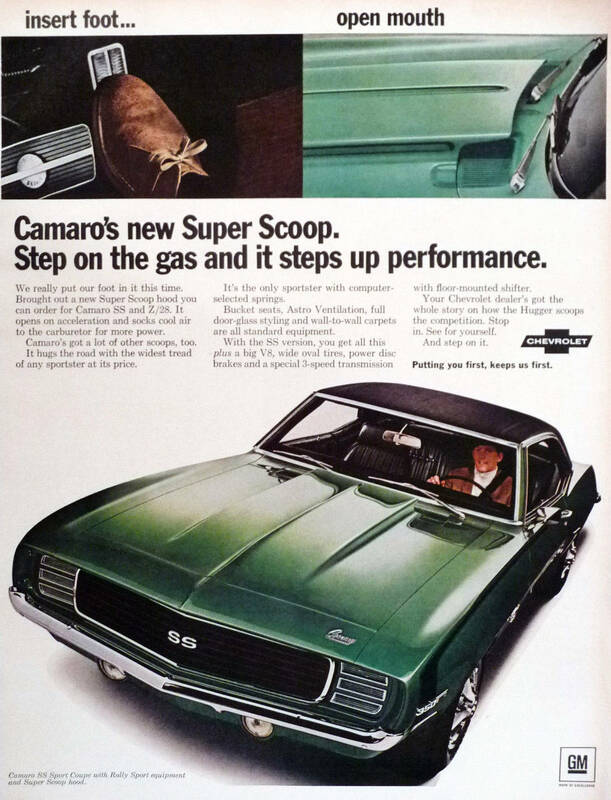 At model introduction in September, 1966, the SS Camaro used a special SS hood that included chromed trim that mimicked the appearance of finned oil coolers. At this time, the only SS was the SS-350 model, and the badges on the car read "SS-350". When the SS-396 was introduced in January 1967, the badges were changed for all SS models to read "SS". The SS-396 could be distinguished from the SS-350 by the engine emblems. In addition, there is a blacked-out tailpan on SS-396 cars (except black-painted cars and special models like the 1969 Pace cars). Both 350 and 396 models in 1967 used the finned hood emblem for the entire model year. For the 1968 model year, the chromed hood trim for SS396 changed from the simulated finned cooler to a set of simulated carburetor velocity stacks. The early 1968 model year SS350 continued to receive the 1967-style finned hood trim. At the end of October / beginning of November 1967, the SS350 trim transitioned to the velocity stack trim (same as the SS396). The simulated velocity stack continued for the 1969 model year with all SS cars using this same hood trim. 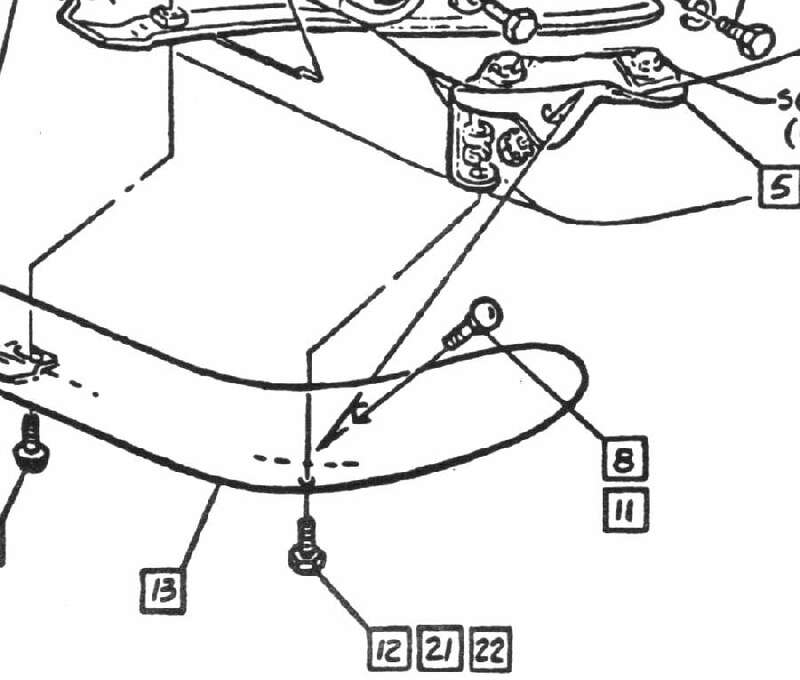 Related to this, the part number for the 1968-69 hood is different than 1967, with the only noticeable difference being the drains used with the velocity stack trim. 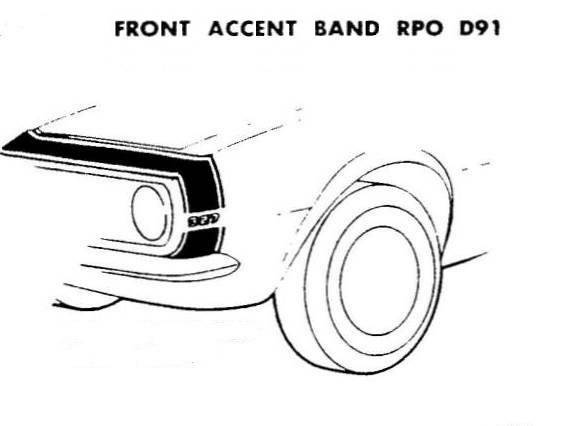 It seems that the majority of restored or modified 1969 Camaros (and many 67's and 68's) are equipped with the RPO ZL2, Special Ducted Hood, aka the 'cowl hood'. Truth is stranger than fiction. Only approximately 4.5% of the 69 production run was factory equipped with it - the option total is 10,026 units. It was a mandatory option for the Indy Pace Car replicas and Z10's - that's 4,000+ units. That leaves only 6,000 optional hoods for other SS and Z28 cars! Despite early press photos showing the hood, it was not available at the start of production. Option information was released to dealers via a letter from Chevrolet dated November 25, 1968. Chevrolet released two print ads for the option, featuring Hugger Orange and Rallye Green Camaro SS coupes. The ads referred to it as the “Super Scoop” hood; availability was limited to Camaro SS and Z28 models. It was also mentioned in later print ads for the Indy Pace Car replica. It was referred to as Special Ducted Hood on the ordering information. Chevrolet never referred to it as “Cowl Induction”; that term was introduced for a similar optional hood for the 1970 Chevelle SS. At this time, the earliest known documented production ZL2 installations are a 12C Z/28 at Van Nuys and Norwood ZL1 #1 9N569358, built late December 1968. Both cars exist today with their Body Broadcast Copies. Neither has any special notes on the sheet as might be expected, as the system required piercing holes in the body structure plus different and additional component parts. It is possible neither car was the first. The hood was initially in short supply as an option. It may have been allocated to the Indy Pace Car replicas, Z10's, and COPO production. Pace Car and Z10 production ended early in May 1969, freeing up availability. At the end of production, slightly over 40% of the 10,026 optional ZL2 installations were Z10's and Z11's. The majority of 1969 Camaro SS and Z28 did not have the hood. Chevrolet also offered a version of this hood for roadracing. It was available only as an over the counter retrofit, designed to be used with the 2 x 4 barrel cross-ram carburetion system. The cross-ram hood was available in both fiberglass and steel (the rules of the racing series would dictate which one was legal to use). Chevrolet fitted the now-famous 68 Camaro Z28 convertible with the hood and carburetion system for display at Trans-Am events late in 1968. Although the first public viewing of the hood was on a 1968 Camaro, ironically it was never a 1968 option. The entire induction system has been available in reproduction for decades making early retrofits possible. Although the trunk lids are dimensionally the same and interchange, there were several different versions of trunk lids used from 67-69. 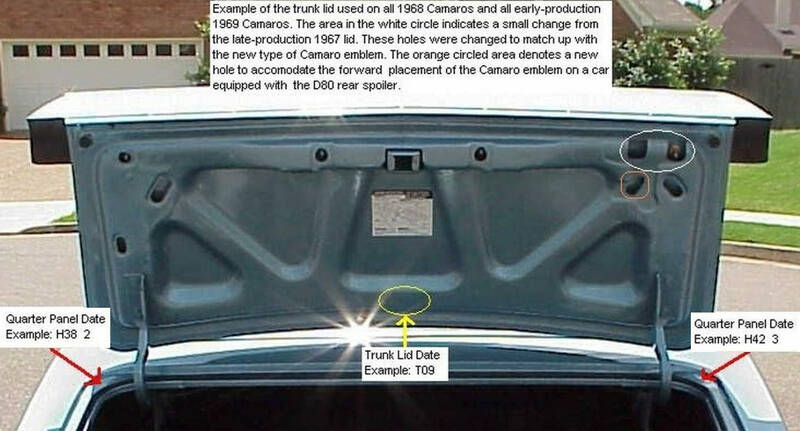 The trunk lids on the first few dozen or so pilot production Camaros didn't have access holes for the emblem on the right side. 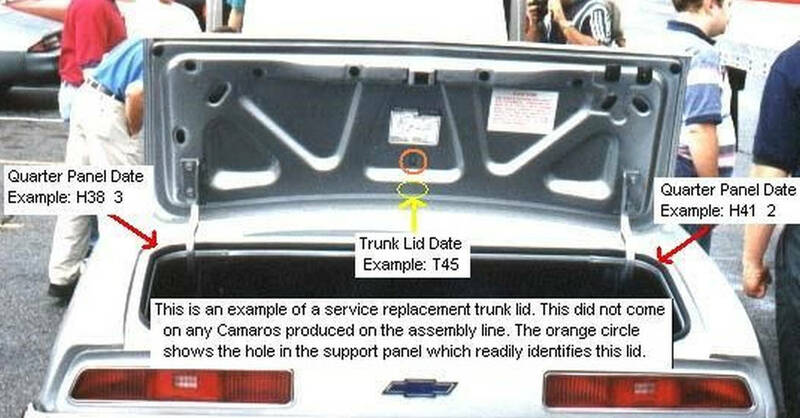 The early style regular production Camaro trunk lids have very minimal holes and indentations on the underside support structure. Essentially, just enough to allow attachment of the emblems and the trunk latch. There was an extra hole in center of the support panel right above the date for the first several months of production. This hole was removed sometime after November. Around the February to early March 1967 timeframe, a new underside support structure was implemented to replace the original design. This new stamping added indentations and holes which were needed for the spoiler for the 68 Camaro (the Firebird may also have had some influence on the design). While no 67 Camaro was built with a factory installed rear spoiler, the new underside facilitated spoiler installation when Chevrolet made the rear spoiler available in 1968. The trunk lid was changed again for 68, namely for the new emblem design and an additional hole for the emblem when equipped with a spoiler. This design was used during the 68 model year and into the 69 model year. 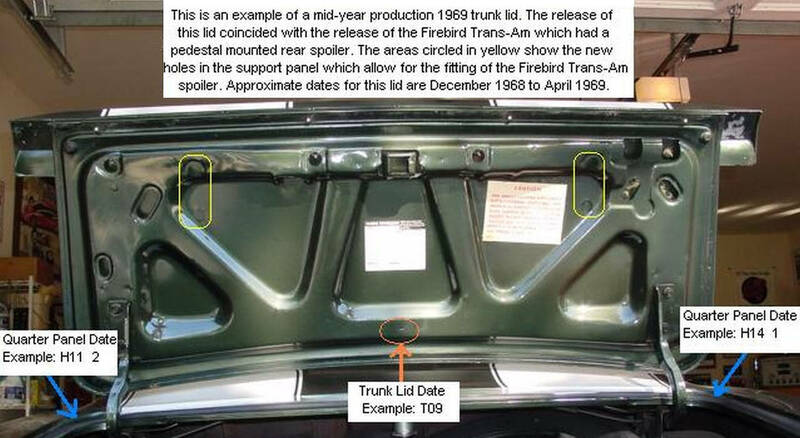 The trunk lid was changed again in the December 68 time frame to add holes to enable installation of the Firebird Trans-Am spoiler. 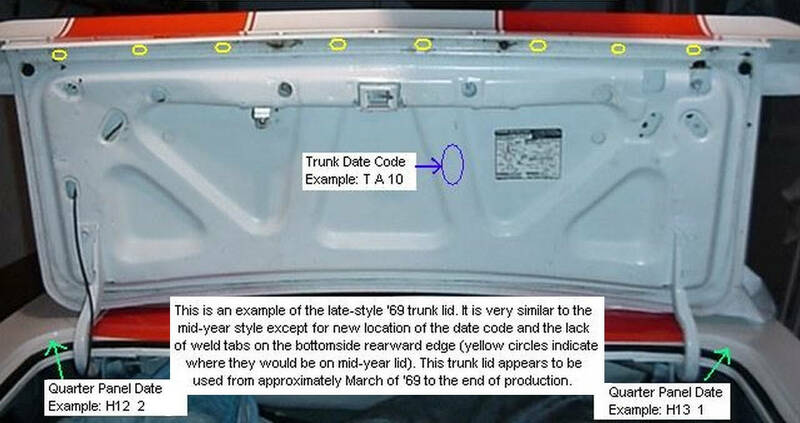 The final version for 69 incorporated minor changes, namely removal of the tabs on the rear edge of the trunk lid and a change in the date code location. 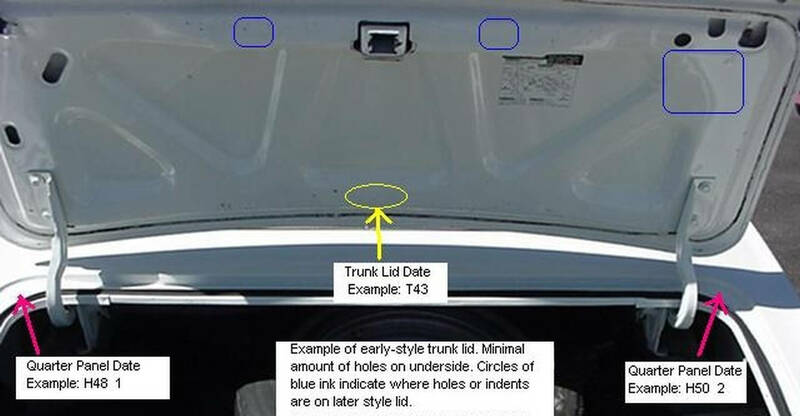 Service trunk lids have an extra hole in center of the support panel. 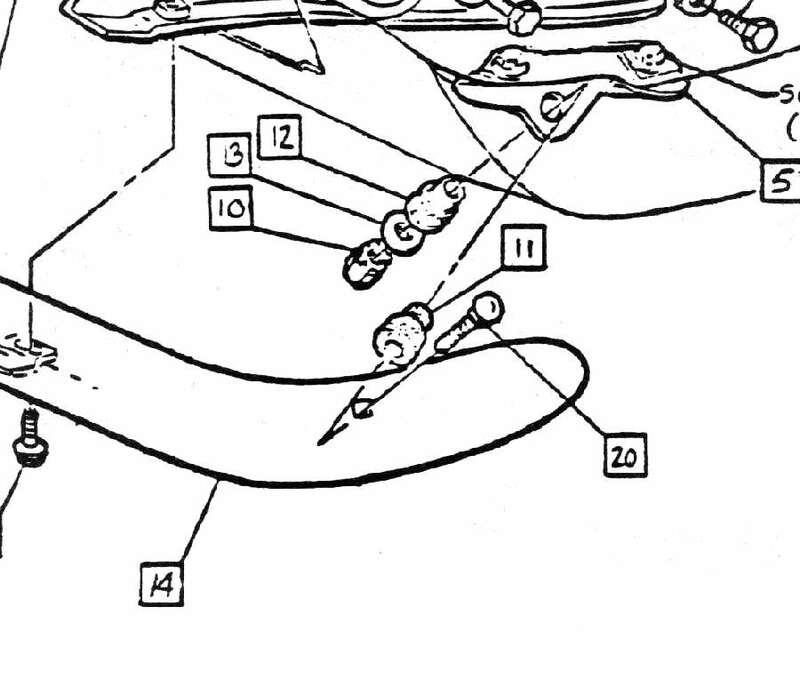 That hole only appeared on some early 67 decklids (which will have the early style underside) and service parts (which have the spoiler holes, etc.) - no other production Camaro trunk lids have that hole. Certain first-generation Camaro models had semi-gloss black-out paint applied to the body to influence the appearance. There were two types: a "ground-effect" black-out applied to the rocker-panel/body-sill area for certain exterior trim options and a blacked-out tailpan applied to SS-396 cars. Body sill black-out paint was applied to Z22 (RS) cars in 1967 and 1968 and to Z21 (style trim) and Z22 (RS) in 1969. But there were several body colors that were simply just too dark for this paint scheme to be effective and for these colors, the body sill black-out paint was omitted. Additionally, the body sill black-out was omitted for the 1969 Z11 Indy Pace Car convertible trim package and the 1969 Z10 coupe trim package. A Chevrolet Product Bulletin dated 2-4-69 describes the Z11 (Pace Car trim package) package and includes this instruction: "Body sill to be painted white instead of black." Although no instructions have been found for the Z10 coupe, the intent would have been the same. There was also a paint color exception for the SS-396 tailpan black-out, but it was limited to black vehicles and the Z11 and Z10. Black SS-396 cars would not have received the (semi-gloss) blacked-out tailpans. But it should be noted that a few original paint black SS-396's have been observed with blacked-out tailpanels - the paint difference is only visible at the paint tape line. years and original 1969 cars bear this out. The following two tables illustrate the rather complicated use of grille styles and colors for 1969. As noted below, Tuxedo Black cars are the exceptions for grille color; all black cars received silver grilles. always received a silver grille. 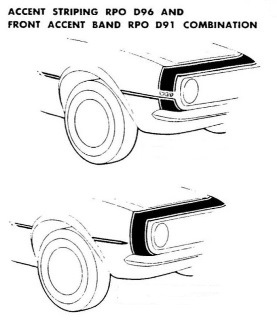 The front bumpers on the 1967 and 1968 Camaro are almost identical, but they are not fully interchangeable. While the bumper stamping itself is the same, there are different mounting holes in the stamping for each year. Figures 1a and 1b show the center of the front bumper. The 1967 bumper, part number 3886690, has one hole for mounting the front license plate holder to the bumper. The 1968 bumper, part number 3929954, has 2 additional holes for mounting a bracket (#21) and rubber bumper (#22). Figures 2a and 2b show the end of the front bumper for each year. The bumper mounting brackets are different for the two years. 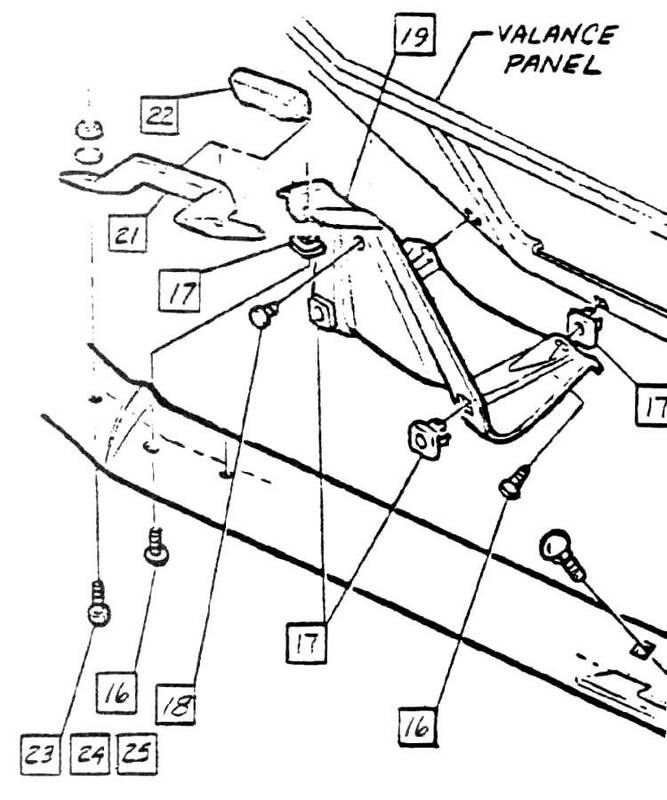 The 1967 bracket extends down to the lower part of the bumper, attaching with a bolt (#12) to a mounting hole in that location. The 1968 bracket is attached to the bumper only with the top-side bolt (#20) at the end and the bottom hole in the bumper was removed. The #20 bolt system was redesigned from 1967 and changed to use rubber cushions. 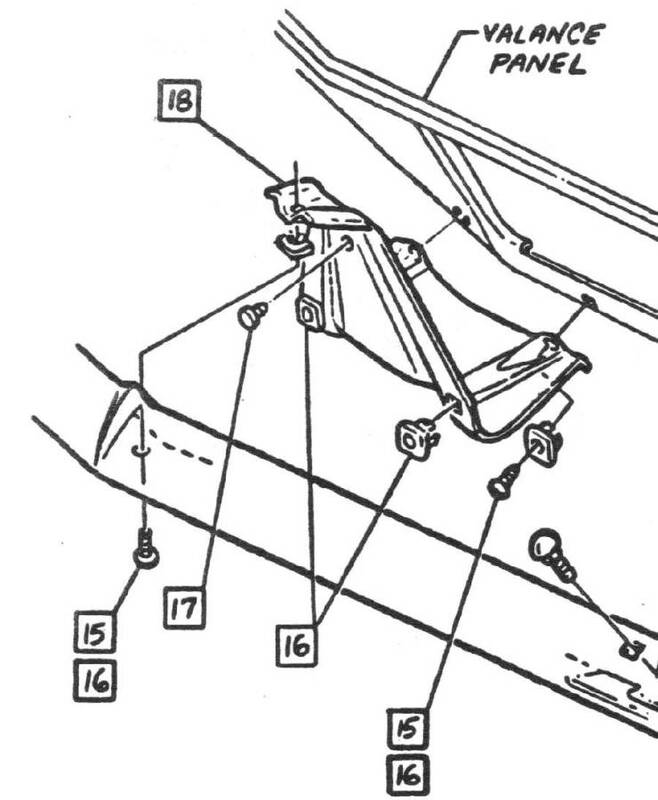 While they are similar, due to mounting hole differences, a 1967 Camaro front bumper can be mounted on a 1968 model only if the '68 center mounting pad is not installed. Likewise, a 1968 Camaro front bumper can be mounted on a 1967 model only if the '67 lower end brackets are left unattached.